Was Van Gogh killed by Cody's Gun? Like most people I find history fascinating, especially the bits that still have gaps or where explanations of events are not complete because of missing evidence. My fascination at the moment is what happened when Vincent Van Gogh was shot in a field at Auvers sur Oise in 1890. As you can see I chose my words carefully as I put forward a possibility as to where the missing pistol went. It is generally agreed that on that fateful day Vincent went to the cornfield to paint and took a pistol to scare crows. As far as I am aware, the ownership of the pistol has not yet been established. There is a case that Dr Gachet owned the gun and loaned it to Vincent. Alternatively, there are those who believe that the owner of the boarding house where Vincent lived was the gun's owner. Indeed, his daughter thought he could have been. In his book, "In the Footsteps of Van Gogh" Giles Plazzy says that Vincent bought a gun in Pointoise, but does not say when or what make or if it was a pistol or rifle. The generally accepted belief is that Vincent shot himself in the chest and missed, resulting in the bullet entering his stomach. He apparently passed out and then revived when the weather cooled down. He was then, according to this theory, going to shoot himself in a more fatal part of his body but could not find the gun. I have never shot myself in the stomach. However, I would have thought that as I passed out the gun would have remained in my hand: I doubt if I would have thrown it far. Vincent, being unable to find the gun, walked home. There are some who believe that Dr Gachet shot Vincent. They had fallen out over a picture frame and Vincent had threatened Gachet with a pistol. Anyone reading the in-depth biography of Vincent would probably question the mental state of both of them. Gachet had apparently been involved in a police murder enquiry ten years earlier. Did police take the serial number and any other information about Gachet's firearms at the time, and is it still available? If they did not, why not? As I understand it, when Vincent struggled back to his lodgings, Gachet and the police were called. The police failed to find the gun that night or the next day. Gachet failed to get Vincent to hospital or attempt to remove the bullet or save his life. Was any criticism made of these failings? A recent book, "Van Gogh: The Life" by Steven Naifeh & Gregory White Smith (2011) gives another theory that Vincent was shot by a 16 year old boy named Rene Secretan. After extensive research the authors have also concluded that Vincent Van Gogh probably did not commit suicide. 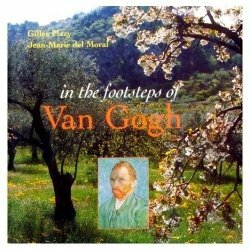 The notion is at odds with letters written by Van Gogh himself, in which he denounced suicide as a cowardly act. They point out that the easel and brushes he took to the fields with him that day were never found, and question why, if he was planning suicide, Vincent didn't rather shoot himself in the head, which was more likely to be fatal. Vincent died with the bullet still in him as far as we know. This bullet could identify the sort of pistol used. I do not believe that the pistol vanished into thin air or that it was not identified. This brings me to my personal theory of where it finished up. Vincent died in 1890 just as his art was starting to be recognised and selling. In 1893 a famous gunman, showman and entertainer visited the area in northern Paris that Vincent and his contemporaries called home. Before I try to make some connection between the two, I will give you the benefit of my knowledge of S F Cody. Wild West showman and expert shot, he was the first man to build and fly a plane in Britain. So that others can do their own research into Cody should they so wish, I refer them to four books:- The Flying Cowboy by Peter Reese, The Flying Cathedral by Arthur Gould Lee, A Pair of Shootists by Jerry Kuntz, and Colonel Cody by Garry Jenkins. The leading expert on Cody is a lady called Jean Roberts who lives in Cody's former home. His great-grandsons John and Peter Cody of Cody Cars are also a source of information. BBC's John Simpson is also a relation. With the exception of John Simpson, I have met them all. Although they may be aware of my research into a possible connection between Vincent's death and the gun later owned by Cody, they may not agree with my conclusions or suggested possibilities. I have not asked in a serious manner except if they knew anything about this gun which interests me and they didn't see it differently to his others. Cody went to Paris in 1893 to do his Wild West shooting show. I am fairly convinced that he was aware of artists of the time because his partner, Lela was related to Queen Victoria's resident artist/sculptor, Robert Glassby who was married to her sister, Mercedes. He had studied in this area of Northern Paris. It has emerged that Cody did know Gauguin, who, according to Peter Cody, painted a portrait of Vivian Cody for him. The relationship between Gauguin and Van Gogh is well established. There was also an American, Harry Harrison around at the time who probably knew Vincent. I wonder if he was also in Cody's circle. Cody certainly possessed a pistol that had been in the hands of and inscribed by Choberts, 16 Rue Lafayette sometime between 1878 and 1893. I cannot understand why a showman shootist would want a big calibre pistol that was not nickel plated, and was around 15 years old. He was financially able to buy something that he could use in his show and that would enhance his showmanship. It is useful to note here that Cody's wife had nearly killed someone in their show in America, as had one or two more Western sharp shooting acts. The unplanned result of this seems to be that all Wild West shows had their pistols and rifles sleeved to 2.2 calibre. The gun Cody acquired in northern Paris was a much bigger calibre. So why did Cody buy this gun that was little or no use to him? All I can up with was that the gun already had provenance or notoriety when he bought it. To try to justify this point of view and thanks to some of the people mentioned previously I became a bit of an enthusiast. I believe that what Cody lacked being an illiterate Yank moving in circles out of his depth, was respect. Unfortunately this continues to this day except for those who really know of his achievements. He has my total respect and admiration because of his aviation, machine gun, and many other engineering achievements. I also think that Cody may well have had a genuine interest in and understanding of some of the front-line artists of the day as he was undoubtedly on the front line of achievement. What do I want and what can be done? The best I can do is to tell you of recent conversations with two gun experts. The first was from BBC TV's Antique Roadshow. "The gun may well be worth money if you come up with it or anything positive will you tell us?" "No. Goodbye." If they had suggested anything positive or interesting it could have been different. The second person was a London gun expert who seemed fascinated by the rubbish I spoke. We talked for ages and I believe he will retain an interest in our conversation. His main contribution was to suggest what I am doing now. To enlist the help of ordinary people, experts, historians and art lovers via the internet. "You might be surprised what people could dig up." He advised that the location, serial number, and calibre of the gun be remain unpublished so that authenticity can be verified. So for example anyone who can speak French might be able to help with the police files or Choberts' records. I am sure that the London gun expert is right when he said that people might find out things I have never thought about. I hope so. History deserves it. Anyone with any information, comments or suggestions about the death of Van Gogh, please email Barry on barryandcody@mail.com.